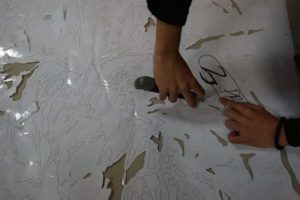 Performed with a 8th grade class, the work to be developed intends to take a look at the stencil technique, its possibilities, complexities and multiple applications. 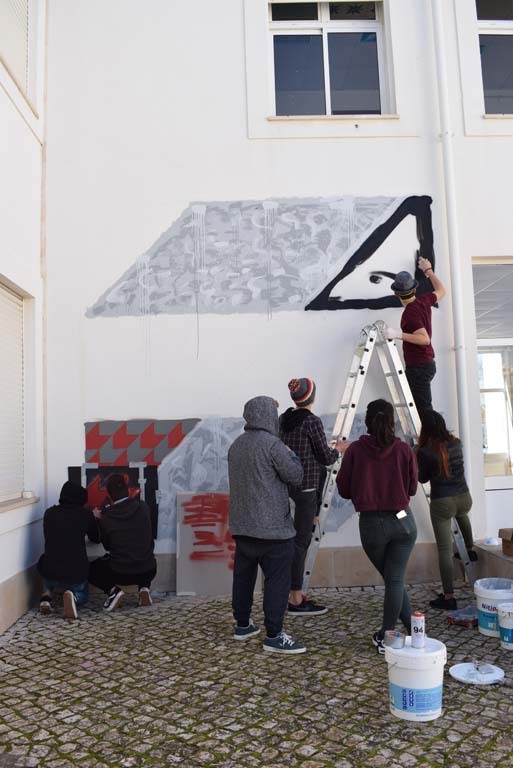 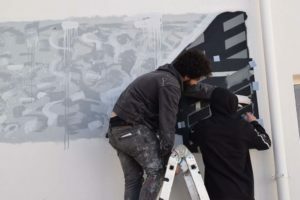 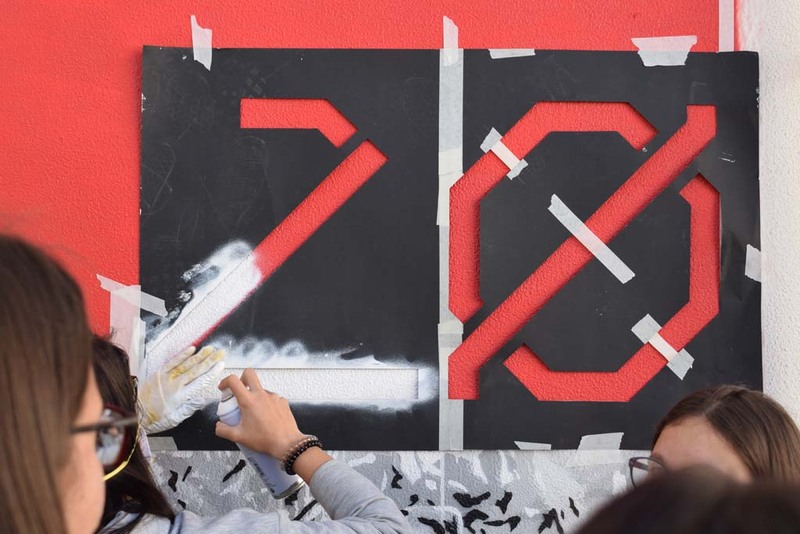 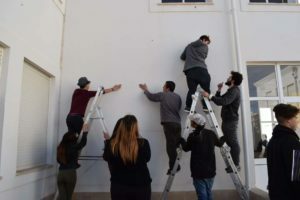 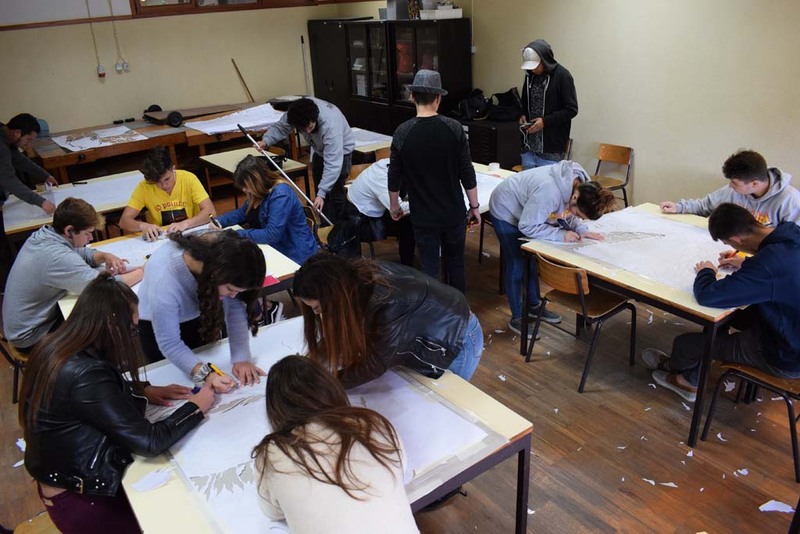 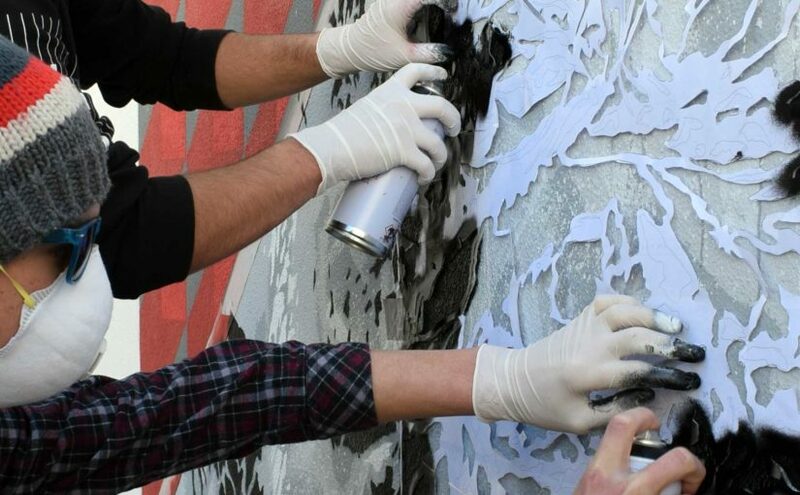 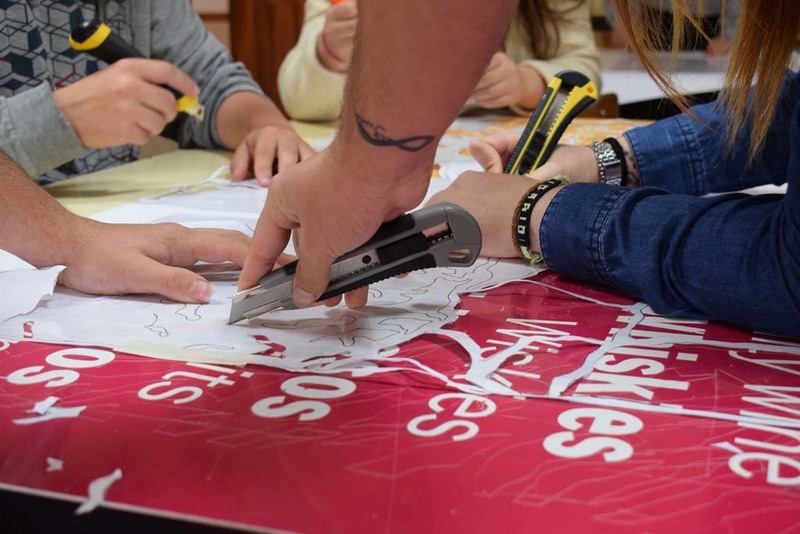 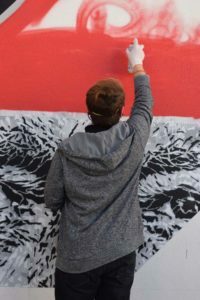 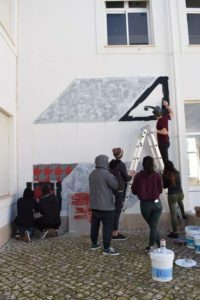 Integrating a theoretical section in association with a technical and practical side, the action will result in the creation of a medium-sized work on the wall within Escola das Naus’ physical space. 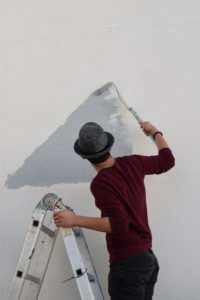 For several years he accompanied the growth of the movement, and was growing as a self taught artist. 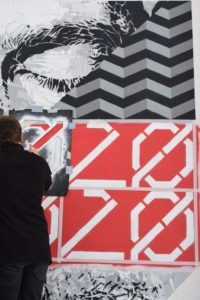 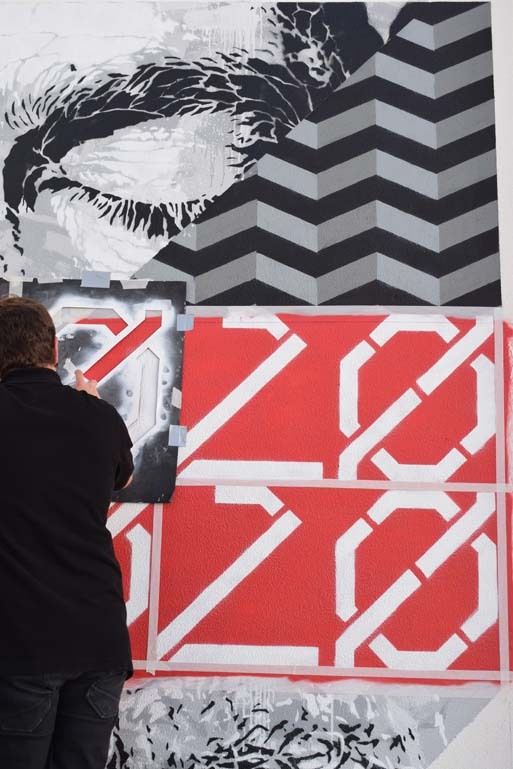 It’s during this time that he discovers the art of stencil and in 2010 felt capable enough to produce bigger and more consistent work. Ever since then SAMINA’s been on a constant search for new excitements and experiences on each work he makes, putting together a language of his own, using stencil techniques with other art elements from his own roots in street art, graphic design, painting and architecture, having taken parte in projects such as TOUR PARIS 13 (Paris, France), ARTURb (Algarve, Portugal), ST +ARTDELHI (Delhi, India), MURALIZA (Cascais, Portugal) or EXTRA WOOL (Covilhã, Portugal).